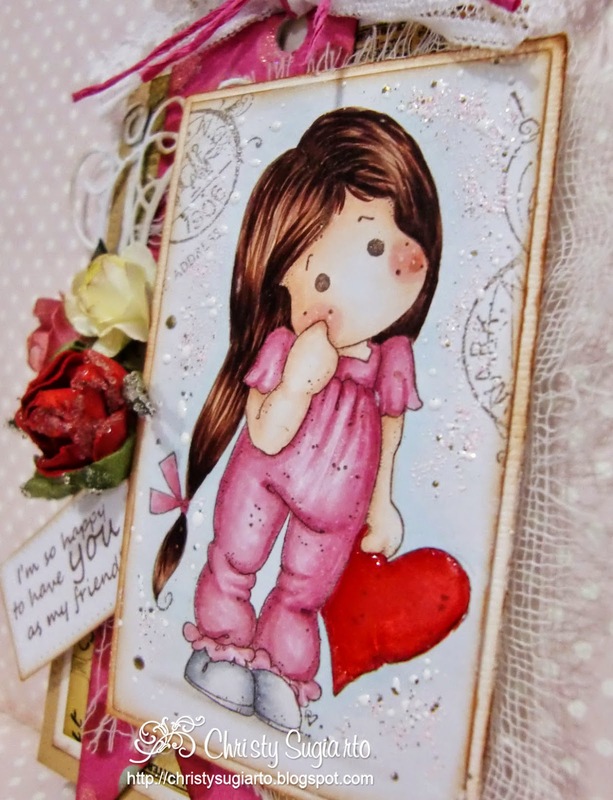 I've made a quick project this tag using Lonely Tilda with her heart Magnolia stamps. I made it for a friend to send to brighten their day. I colored Tilda with Copic sketch markers. put some glossy accent on her heart and stamp post mark on the edges. I distressed all paper edges with tea dye distress ink. I used Traditionl Tag Stax from MFT dies to made tag base and sentiment. Swirls is from Memory box dies. Pattern paper, flowers, lace, and string are from my stash. Wow this is a beautiful label I love your image. Hi Christy, this is such an awesome tag. Gorgeous design with beautifully colored image and detailed embellishments. I am certain this will cheer up your friends. This is gorgeous Christy. The image is adorable and I love the beautifully embellished design. Christy your card is wonderful. I love Tilda and your colored her so beautifully. Love your choice of papers as well. Thanks for joining us for our final challenge. Hope to see you in blogland. What a beautiful card. Love your color choices. Love the Tilda stamps. Thanks so much for joining us for our final challenge at Created with Love. Hi Christy! You've made a beautiful tag! lovely coloring on Tilda. Thank you for joining Tilda's Town this week. 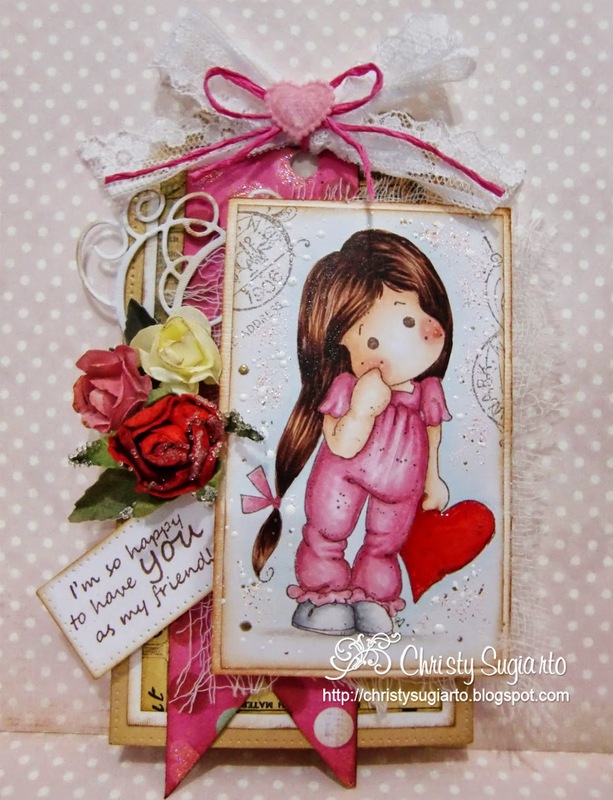 Good morning, Fabulous Tag, thank you for joining us at A Creative Romance Girly Card Challenge.